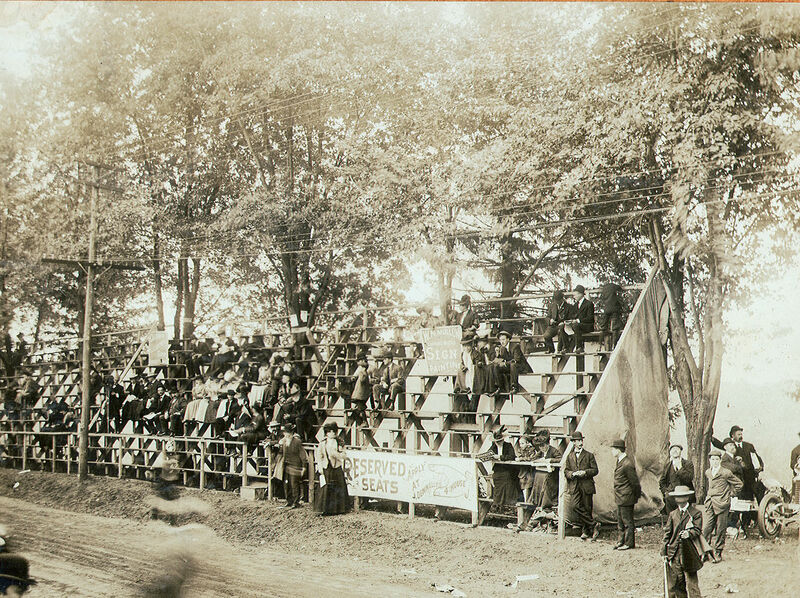 The primary grandstand for the 1906 Vanderbilt Cup Race was at the Start/Finish Line on Jericho Turnpike in Westbury. 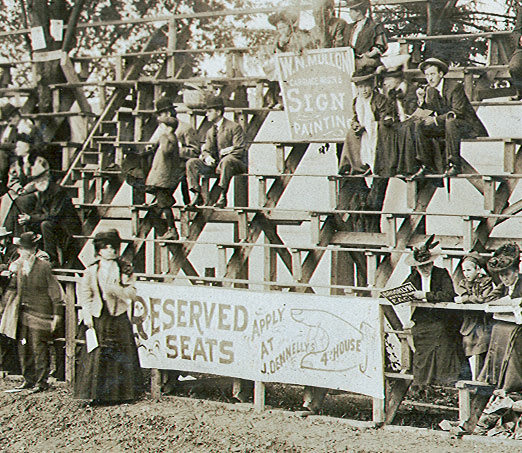 A second grandstand with a capacity of 500 spectators was built in Manhasset. 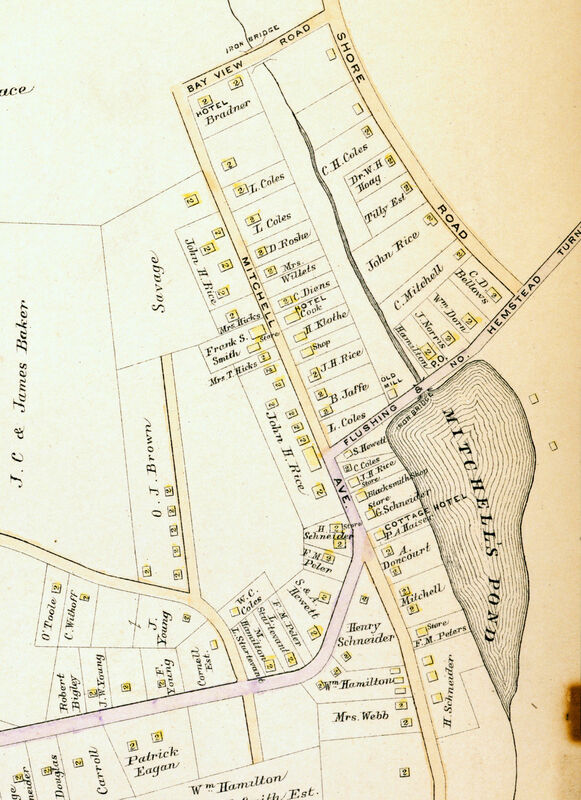 The grandstand was located at the base of Spinney Hill on North Hempstead Turnpike in Manhasset. This photo indicates the grandstand was only half-full during the race... probably because of the fee to enter. 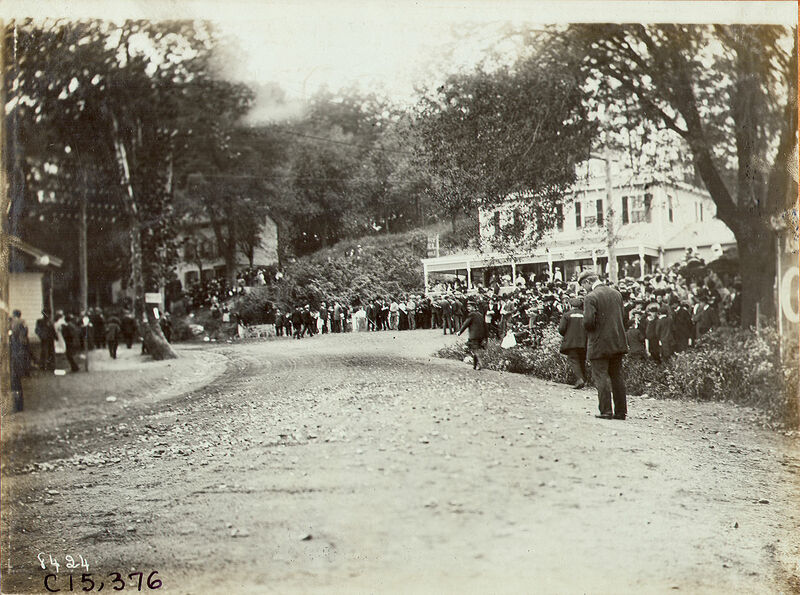 In comparison, here is the non-paying crowd watching the race on Spinney Hill. The reserved seats could be obtained by applying at "J. Dennelly's" which was the 4th house down from the grandstand. 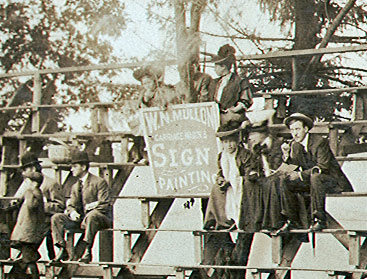 As with all Vanderbilt Cup Races, men and women wore their finest clothes ...and always topped off with a hat. Is this right on the outskirts of Great Neck? Flushing / No. Hempstead Turnpike, is that now Northern Boulevard? I ask because I grew up in that area and I think I know where this is. I believe there’s a shopping center on the other side of that pond - or was the last time I was there. The photos were taken on North Hempstead Turnpike (now Northern Boulevard) in the vicinity of Valley Road (now Community Drive). The photos of Spinney Hill are so clear! Fantastic.